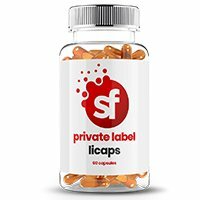 Our range of superior private label supplements are designed with distinguishable properties that consider value for money and genuine effectivity. 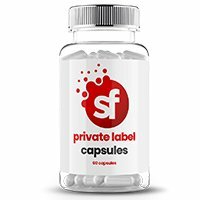 As high-volume vitamin manufacturers UK based and switched on to industry trends, we know that private label supplements are on the rise, and if you are working in an established company, reading this you will already know that the supplement industry has an incredible number of new start-ups entering your territory; making competition fierce. Companies operating in the health and well-being category know that innovation is key to growth and that a well thought-out product is worth its weight in gold. It’s not about producing cheap products and heaping them full of approved claims anymore. Why? Simply because consumers are savvier than ever before and the average person on the street knows the benefits of the food supplements that they consume more than some manufacturers or brands. For some time now Supplement Factory has been establishing itself as the UK’s leading supplier of food supplements for high street retailers and online powerhouse brands. The products that we make feature on the shelves of retailers all over the world including Boots, Holland & Barrett, Superdrug, Poundland and numerous pharmacies. This is just in the UK, we also see great products that we have manufactured in US retail chain’s like Walgreens, CVS Pharmacies and Walmart. No matter where you want our Private Label Supplements sold, we can help you get them there. Many well-being supplements contain various vitamin and mineral compounds to complement the benefits of a food ingredient or in some cases to increase the bio-availability. The Supplement Factory team of new product developers are fascinated by new studies proving ingredient combination benefits and they often discover new ingredients that are unique to various markets and territories. This is why they are developing the best factory supplements ranges in the UK and Europe.